1970 Q-code D0ZZ-9600-E 0G C 16.79" x 3.66"
I believe the measurements are for the complete air cleaner assembly, not the base alone. I could use some help to confirm actual base measurements. 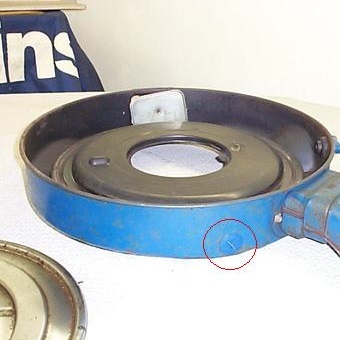 The 1970 base used for Q-code cars has a black plastic elbow that's commonly painted blue mounted in a rubber grommet in front that's used to link the base to the breather that mounts on top of the driver's side valve cover via a rubber hose. 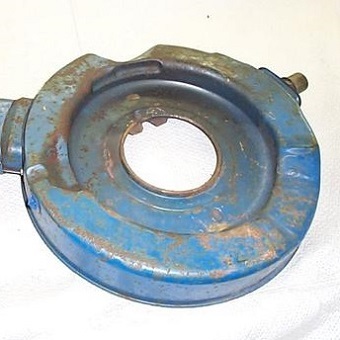 Here's a shot of an original, unrestored 1970 Q-code air cleaner. 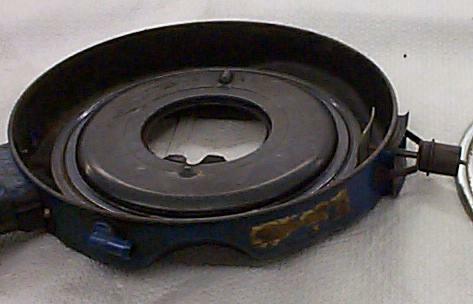 Here is an example of a 1970 Q-code base. The inner raised center of the air cleaner base was originally painted flat or semi-gloss black. 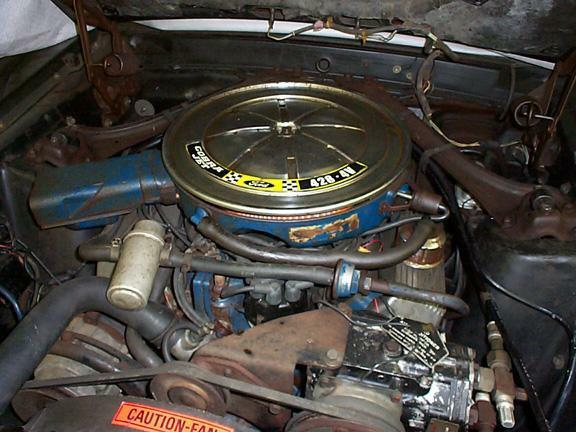 The base was painted the same Ford Dark Corporate Blue as other engine components. Here's a picture of the Q-code lid. 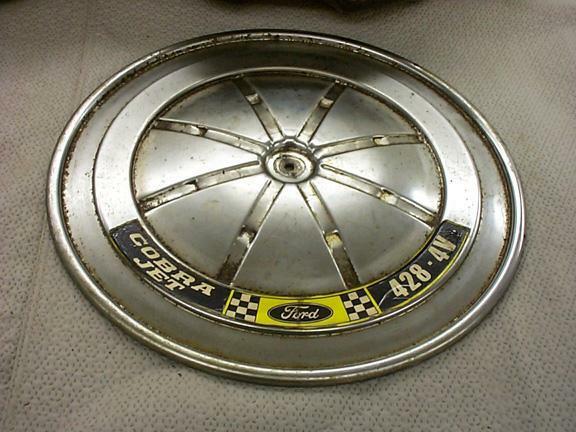 This is the same lid used on Boss 302 Mustangs that were similarly equipped without ram air induction. The lid is chromed front and back, and it comes with a "COBRA JET 428-4V" sticker attached along the front edge. I've seen different stickers used on these lids -- one says "COBRA", the other says "COBRA JET". I'm not sure if this is a model year difference or a repro vs. original thing. Additional insights would be welcomed! Thanks to Mark Reposa for the pictures used on this page.